Hi Everyone! I hope all of you are enjoying the weekend – I definitely am! We were supposed to get horrible weather in the Bay Area this weekend – rain, freezing cold – even the potential of snow (which I have to admit would have been pretty cool). I’m not sure what happened – but it’s been nothing but sunny and gorgeous here (still chilly but nowhere near what the forecast was predicting!) And this sunny, springtime weather has put me in kind of a lazy, rambling mood. I’ve never done a post like this before – where there are multiple, unrelated foodie topics – so I figured I’d try it out today. 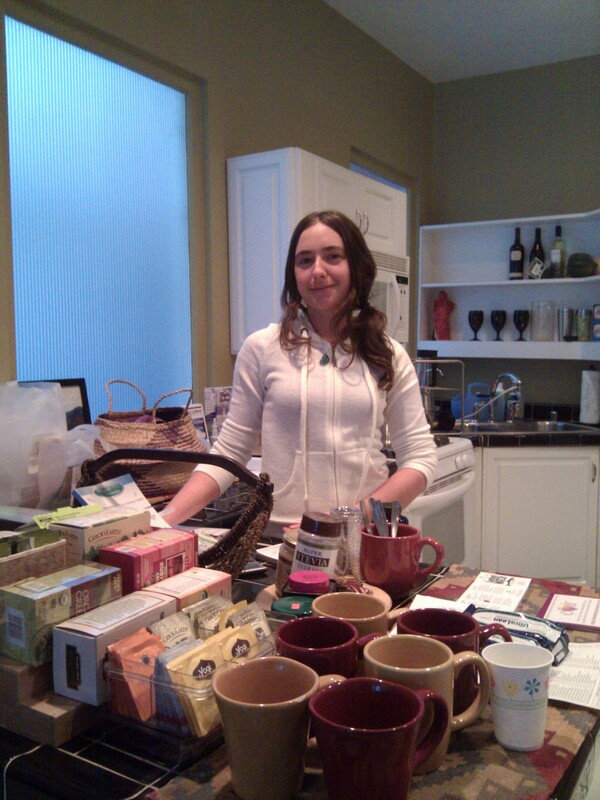 First off – I have to announce the winner from my Fearless Chocolate giveaway — Congratulations to Bobbie!! Now, on to my random musings for this Sunday. 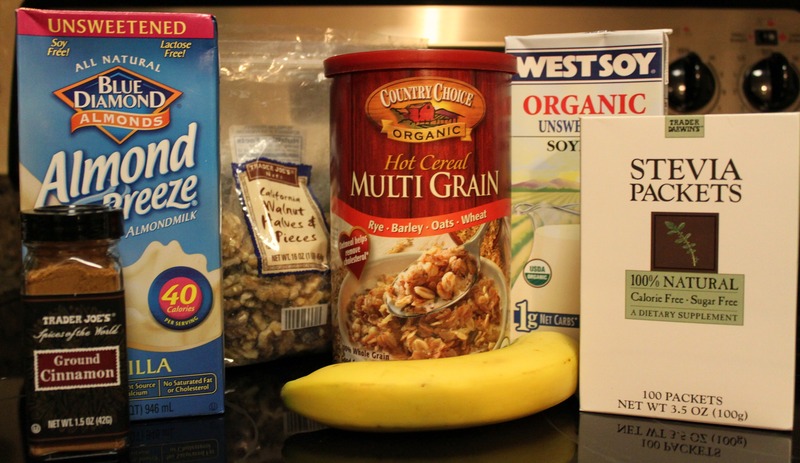 First – let’s talk about fast food oatmeal. It’s an interesting trend – but more and more fast food restaurants are adding oatmeal to their breakfast menus – the most recent addition coming from McDonald’s. The most interesting thing about this newest oatmeal addition was the chatter and criticism over how unhealthy the oatmeal actually was. 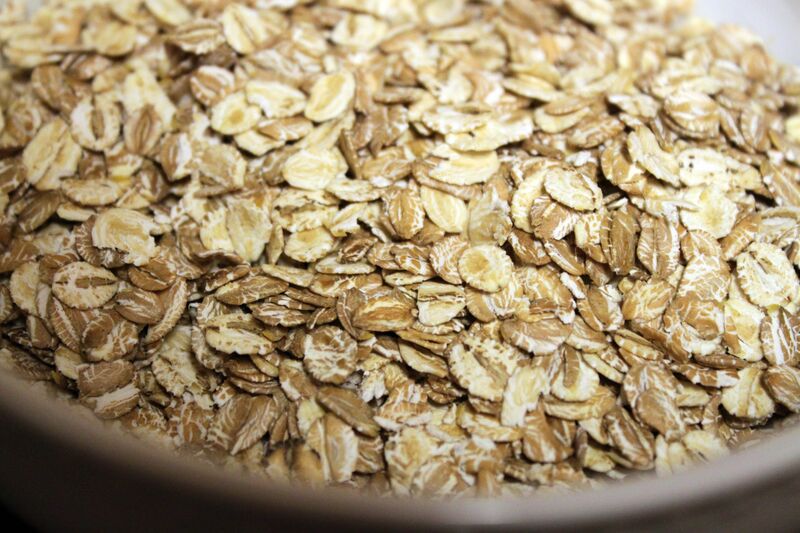 For those of you who haven’t seen Mark Bittman’s article: How to Make Oatmeal…Wrong – definitely check it out here. The sad thing is, he’s 100% right. 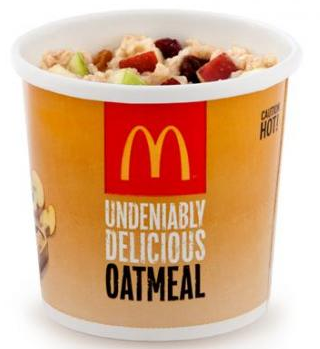 Somehow, McDonald’s did manage to make oatmeal unhealthy, and I can’t begin to figure out why. 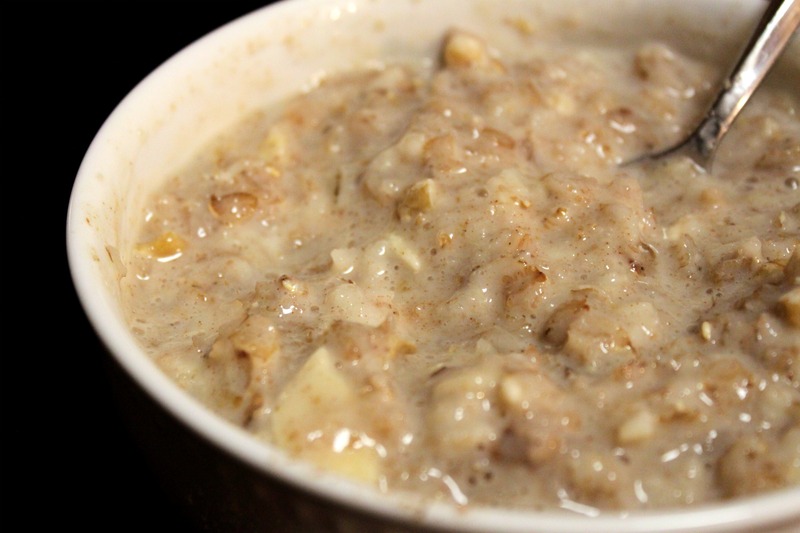 So let’s start with the basics – why is McDonald’s oatmeal unhealthy? Oatmeal really should be one ingredient: whole rolled oats (or steel cut oats). McDonald’s has SEVEN – and this is just in the base – not in the added ingredients! 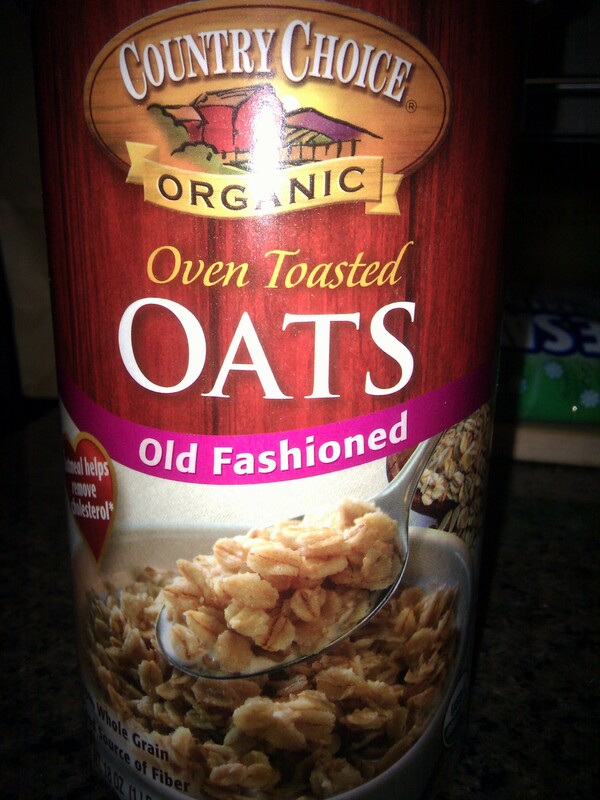 Oats is their #1 ingredient, but they also add weird things like: “food starch modified” — what IS that?? Other added ingredients include: “natural flavor,” “barley malt extract,” and “caramel color.” Honestly – I don’t know why you need to add color to oatmeal. That’s just bizarre. Oatmeal should have zero grams of sugar as a base: Of course, you can (and should) add natural sugars (like honey, or stevia, or agave) to oatmeal to sweeten it up, but as a base – it should have zero sugars. The “base” for McDonald’s has 14g sugar. And that’s BEFORE you add the sweetened dried fruit (which has another 15g sugar). Just fyi – if you add the dried fruit to your already sweetened McDonald’s oatmeal – you’ll end up with as much sugar as in a whole Snickers bar. Isn’t that crazy? Instead of adding creme to oatmeal, milk is a better option: Unfortunately, the McDonald’s oatmeal only gives you the option of adding creme – not milk. The creme has 20 calories – 15 of which come from fat. 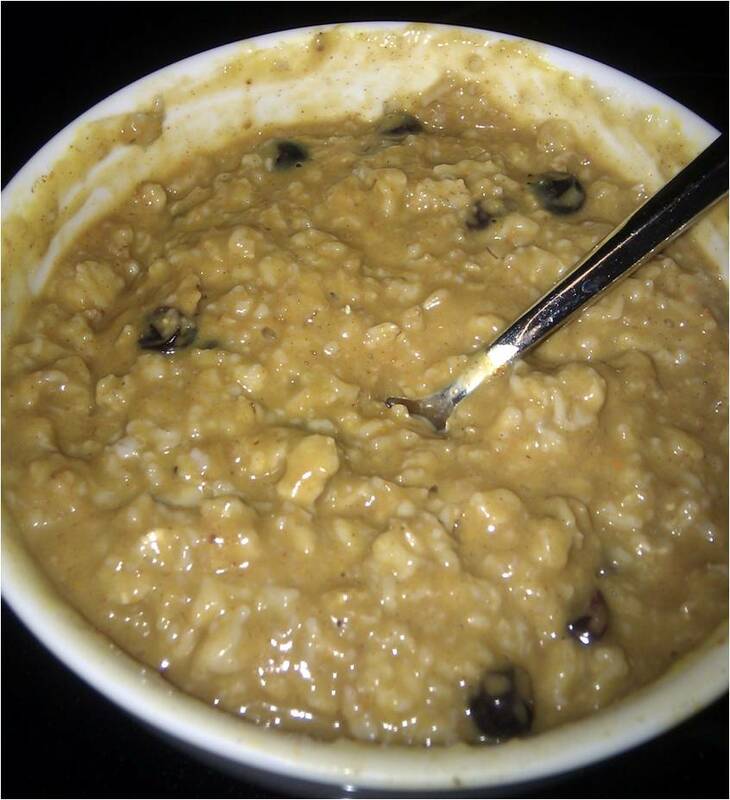 The oatmeal “base” is made with rolled oats – which is still good for you (even with the added crap). Also – a decent size serving has only 190 calories, 2.5g fat, 3g fiber and 4g protein. That’s not bad compared to other fast food breakfast options out there. And I’ve heard you can order it without the brown sugar – which will cut down on the total sugar in the dish and will save you some calories. One of the toppings is diced fresh apples. This is a GREAT option to both sweeten the oatmeal and add an extra 1g fiber without any calories. 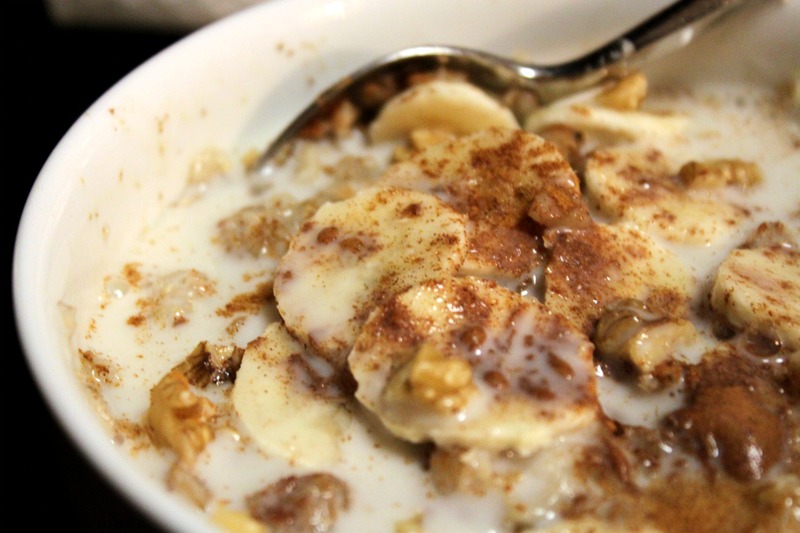 If you just got the apples + oatmeal – your entire breakfast would be 200 calories, 4g fiber, and 4g protein. (It is weird to me that the apples have “calcium ascorbate” added – doesn’t seem necessary but at least they’re still fresh apples.) One thing is for certain – stay away from the “cranberry raisin blend” and “creme” toppings – those two will add a total of 90 calories – most of which comes from sugar and fat – totally unnecessary for your breakfast. What really gets me about all this: if you are just a normal consumer who assumes oatmeal and the toppings that come with it are healthy – you could unknowingly walk into a breakfast that causes you a sugar high & crash every day: the 30g of sugar in the fully loaded oatmeal guarantees it. And while the total caloric count (oatmeal + all toppings) isn’t outrageous (it’s only 290 calories total) – the nutritional bang for your buck isn’t great. I just feel like unless you do research and know your nutritional labels inside & out – a company like McDonald’s could totally dupe customers by introducing a “pseudo healthy” product. Which is why I felt the need to post about it today. I guess you have to give them credit for “trying,” – but even in their efforts to try they kind of get it wrong. The good news is: there are FOUR other great fast food oatmeal options out there that actually are healthy and don’t have random ingredients added. This has to be one of my favorite fast food oatmeals because: 1) Their “base” has 0g sugar, 140 calories and 4g fiber. 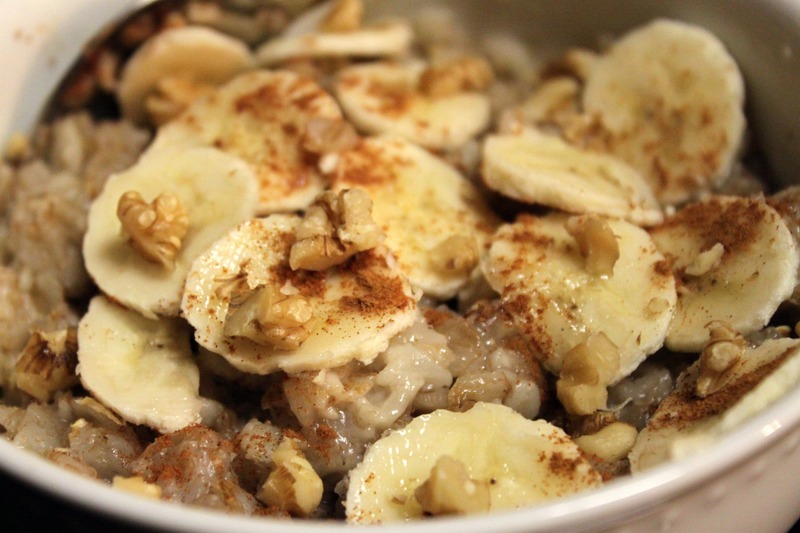 It’s instant oatmeal – which isn’t ideal, but better than oatmeal with tons of sugar added. 2) All of their toppings come in 50-100 calories packs – and you can add as much as you like: I suggest adding the nuts for extra fiber/protein, and skipping most of the dried fruit which has 20g sugar (ridiculous). 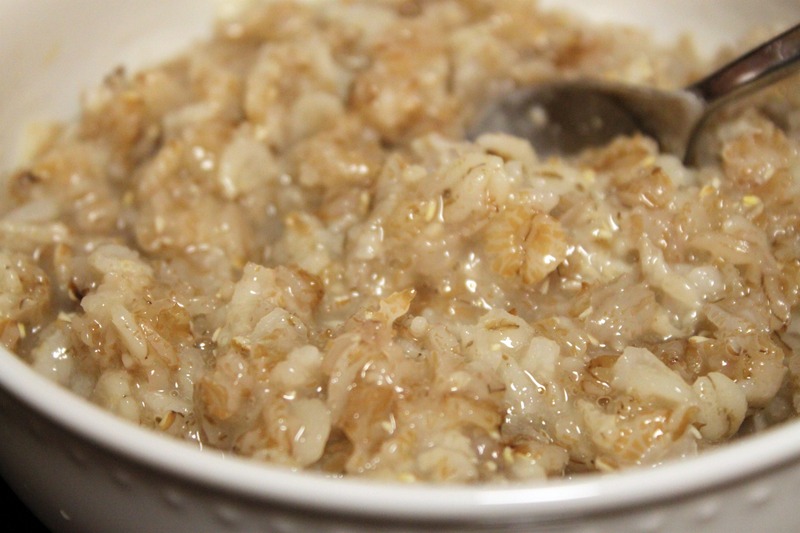 This oatmeal option is probably the best one – because it’s made with steel cut oats! And the “Plain Oatmeal with Brown Sugar” has only 4 ingredients: Steel cut oats, soymilk, and brown sugar crumble (which you can ask for on the side, or eliminated altogether). The steel cut oats base only has 220 calories, 5g fiber and 8g protein. The brown sugar crumble has 7g sugar and 40 calories (which isn’t too bad). ABP’s small (8oz) oatmeal has 170 calories, 1g sugar, 4g fiber, and 6g protein – and only 2 ingredients: Water and Rolled Oats. Cosi has steel cut oats as well! And their serving has 220 calories, 4g fiber, 5g protein and 3g sugar. They have a crazy list of toppings – some of which are super unhealthy (like the dried fruit or whipped cream) – but all of them come on the side. And they have two great healthy toppings – pistachios and strawberries. 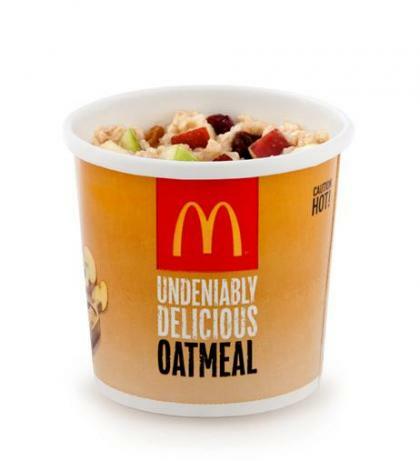 So while the McDonald’s version is deceptively unhealthy, there are plenty of good fast food oatmeal options out there – which is good news! It is sad though that consumers have to do so much digging to get to the bottom of what’s actually in the food we buy. Which brings me to my next topic: I was recently contacted by a site called Food Facts – whose mission it is to eliminate confusion about what’s actually IN the foods we eat, and create a centralized resource for all the food information you could want! Check out their site here, and a video overview here. I really applaud the work they’re doing and was happy to partner with them on a few things (since our sites have very similar missions). I’d definitely recommend touring their site for any food related questions you have. And as I move on to my last topic, I’m acutely aware that it’s midnight and I have to wake up early for work tomorrow. So, I feel like a very appropriate last topic is my issue with getting enough sleep every night. Do any of you feel like you don’t sleep enough during the work week? I’m the type of person that actually needs 8 hours of sleep every night. When I’m well rested, I will wake up every morning after 8 hours of sleep like clockwork. The only trouble is, during the week I get about 6-7 hours (usually closer to 7). While that’s not bad – I feel like that’s still not enough sleep for me, because I always feel like I’m making up for lost sleep on the weekends. So as I sign off tonight – I’ll leave you with two questions: 1) How much sleep do you usually get every night? and 2) Do you have any tips for me to make my sleep schedule more regular? And with that, I think it’s my cue to head to bed. Happy (early) Monday everyone! This morning, I was really craving banana bread for some reason. It was really random – I don’t usually crave baked goods in the morning but I suppose today was just one of those days. And of course, I wasn’t going to make banana bread before I left for work – I had about 20 minutes for breakfast today! So, I decided to try to recreate the “essence” of banana bread using one of my morning breakfast staples: oatmeal. I have to say, it turned out to be AMAZING. It totally tasted just like banana bread! And it was the perfect way to start off my morning. Cook the oats according to package directions (I cooked mine in the microwave with 1 & 1/4 cup water). The thing I love about the multi-grain oats is that they cook just like regular oatmeal but have a nice variety of grains. Stir to combine. Breakfast is served! 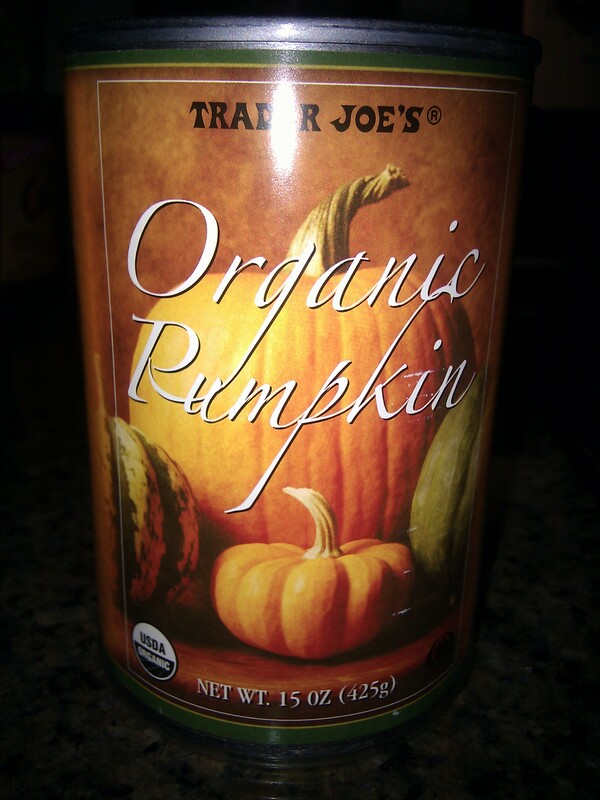 Pumpkin Pie Oatmeal + A Visit to the Naturopath! I started my day with a bowl of Pumpkin Pie Oatmeal, which I was inspired to make by Anne’s awesome recipe! 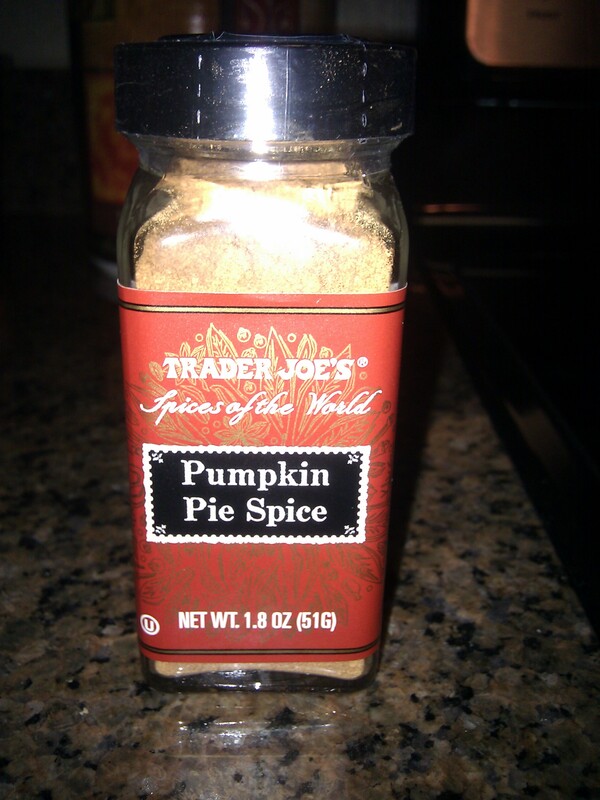 This was seriously the best brunch ever – it tasted EXACTLY like Pumpkin Pie! Anne’s recipe is here, and my slight twist on it is below. Thanks Anne, for the inspiration! Make the rolled oats according to the box (you can either make them in the microwave or on the stove, I made mine in the microwave). Add the soy milk, blueberries, pumpkin puree, stevia/honey, spices, and walnuts. Stir together to combine. ENJOY! Yummy! So after brunch, I left for my appointment with Dr. Francis. So why do I see a Naturopath? Well, many of you may not know this, but I’ve struggled with stomach problems for the past 5-10 years. After some medical tests, I was sort of “written off” by my doctors with a diagnosis of IBS (which, I learned, isn’t really a diagnosis – it’s more of a ‘catch all’ for “we don’t know what’s wrong with you). And I figured I’d just have to deal with it for the rest of my life, since IBS can only be “managed” through diet & exercise. Bleh. Frankly, it sucked. But a few months ago, my friend referred me to Dr. Gabrielle Francis – who had helped her manage her UC (ulcerative colitis). I actually had no idea what a Naturopath was until I went to see Dr. Francis, and in short – she’s basically a holistic physician. 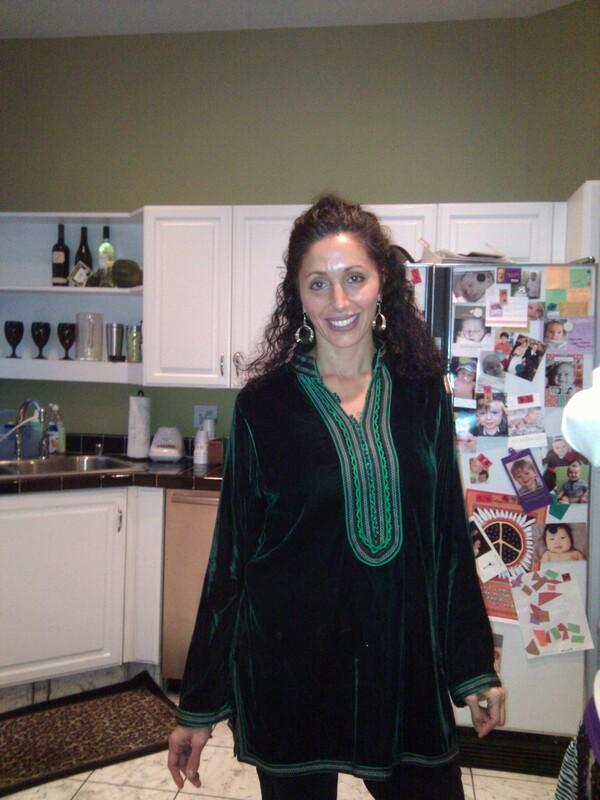 She has medical degrees in chiropractic, acupuncture, and naturopathic medicine. 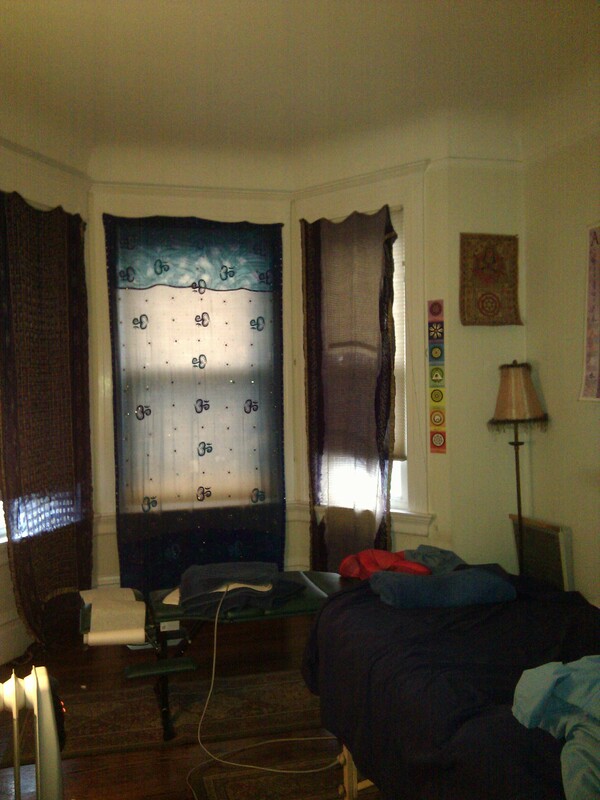 Not only that, but she’s done some amazing residencies and has numerous post graduate degrees which you can see here. She has an incredible wealth of knowledge – she combines her knowledge of medicine and science with her more natural remedies, and can integrate the two therapies as needed. Upon my first visit with Dr. Francis, she spent about 2 HOURS with me talking through all my symptoms and after she ran a few tests, she was able to immediately diagnose what was going on with me! (Turns out I have a stomach/intestinal infection that is curable and I’m already on treatment and seeing results which is amazing). Not only does she use natural / herbal / probiotic-based remedies to help manage/cure your condition, but every visit will include a treatment of either acupuncture, chiropractic, or massage depending on your needs. So what is a visit to Dr. Francis’ office like? Well, first of all, her office is like a peaceful sanctuary. It’s seriously the coolest, most relaxing doctor’s “office” you’ve ever been to! Walk in, take your shoes off, relax in the most comfortable room with a hot cup of tea (that her assistants will immediately offer to you as soon as you enter). 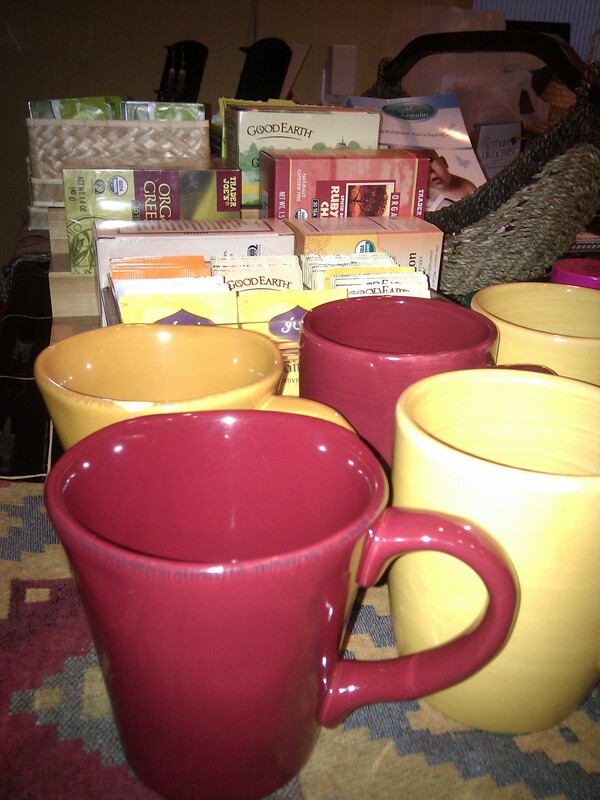 These chairs just engulf you, they are so comfortable, and the tea selection is awesome! Thanks for everything Dr. Francis, I’m so grateful to have found you!